OTTAWA -- Pessimism about the fate of NAFTA is mounting amid dismay that the United States wants to impose stringent new American content requirements on vehicles that are allowed duty-free movement across North America. The United States is set to propose that cars and trucks must have at least 85 per cent North American content and at least 50 per cent specifically American content to qualify for duty-free status, according to a report by Inside U.S. Trade. The rules of origin proposal is expected to be tabled next week in Washington during the fourth round of negotiations to rewrite the North American Free Trade Agreement. Canada and Mexico have, from the outset of talks, been adamant that they won't agree to a specific American content requirement that would bolster the U.S. industry at the expense of automobile and auto parts manufacturers in the other two countries. And Canada's automotive industry agrees. "You can't have protectionism within a free trade agreement. It's an oxymoron," Flavio Volpe, president of the Automotive Parts Manufacturers Association, said. 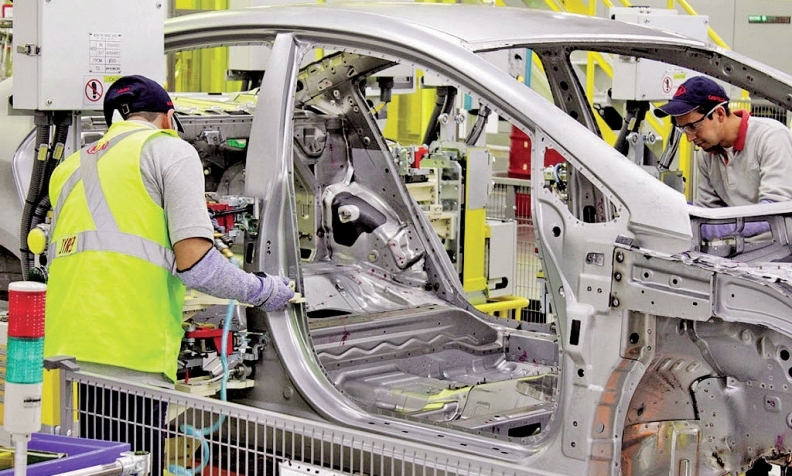 Studies have found that Canadian-produced vehicles already contain 63 per cent American content, while those produced in Mexico contain 40 per cent, Volpe noted. But he said casting an American content requirement in stone would handcuff the industry's ability to pivot to suppliers in other countries — including Canada and Mexico — should they be able to offer a better product at a better price. "If the U.S. becomes less competitive and you're tied to doing it in the U.S., then you are less competitive," Volpe said, adding that in the meantime the industry's global competitors, like China, will be "eating your lunch." Even without a specific American content requirement, the reported proposal to hike the North American content requirement to 85 per cent — up from the current 62.5 per cent — is stoking fears in all three countries that their fully integrated supply chain would be disrupted, manufacturing costs would skyrocket and the North American automotive industry would be left unable to compete with auto makers in Europe and Asia. "We are such a highly integrated industry, I think numbers of this nature would be highly problematic ... and it would really tend to undermine our competitiveness as an industry within North America, let alone Canada," said Mark Nantais, president of the Canadian Vehicle Manufacturers Association. Matt Blunt, president of the American Automotive Policy Council and former Missouri governor, echoed that concern. "We share the goals of the [Trump] administration to strengthen the U.S. manufacturing sector, grow the U.S. economy and American jobs," he said in an email statement to The Canadian Press. "We, however, are concerned the approach they are taking would be counterproductive to achieving those shared goals, including significant changes to rules of origin that would be harmful to the short and long-term competitiveness of the North American auto industry." Unifor president Jerry Dias, whose union represents Canadian auto workers, said he sympathizes with what the United States is trying to do: stop the exodus of manufacturing jobs, particularly in the auto industry, to low-wage Mexico. But he said imposing stringent North American and American content requirements, without simultaneously raising the 2.5 per cent tariff on vehicles imported to the United States outside NAFTA, would backfire. He predicted auto makers would forgo their duty-free status under NAFTA, move their operations to Mexico and pay the tariff. "Ultimately, unless they deal with the 2.5 per cent tariff, it's all worthless." As for a specific American content requirement, Dias said that simply "won't fly." "For the U.S. to think that Canada is somehow just going to be bullied and is going to roll over and not protect their key industries while the U.S. is trying to do the same makes no sense," he said, noting that autos remain Canada's top export. The protectionist line on auto rules of origin comes after the United States tabled an equally unpalatable proposal on government procurement at the third round of negotiations last week in Ottawa. The U.S. is looking to severely restrict the ability of Canadian and Mexican companies to win contracts on government-funded infrastructure projects in the U.S. The mood among stakeholders during the third round was glum but Dan Ujczo, an Ohio-based trade lawyer with clients in both Canada and the United States, said it's about 10 times worse now, with most expecting the talks to end in failure. While the political leaders still talk about creating a "win-win-win" for all three countries, Ujczo said the only 'Ws' on stakeholders' minds during the fourth round will be "who will withdraw" and "when will withdrawal" occur. A senior Canadian government official, not authorized to speak publicly on the matter, said Canadian negotiators will keep meeting and talking, even if it means repeatedly rejecting hardline American proposals. Adam Austen, a spokesman for Foreign Affairs Minister Chrystia Freeland, declined to comment on the auto content requirement issue because an American proposal has still not been put on the table. "We will continue to work for a good deal, but not just any deal. We will continue to make clear, reasoned arguments based in fact."